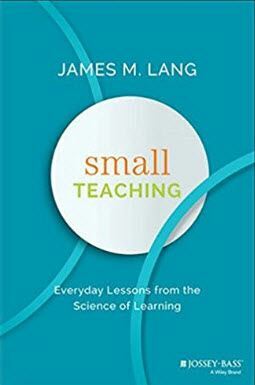 This book summarizes and organizes several important findings from recent cognitive science research AND INCLUDES PRACTICAL IMPLEMENTATION EXAMPLES. OR, JUST SHOW UP, LISTEN, ...RESPOND WHEN/IF YOU WISH. Step 2 READ to the entire book or pick a chapter that interests you. Step 3 JOT DOWN 1-2 main ideas from one of the chapters AND a practical implementation of the chapter's insights - preferably based on your own experience.